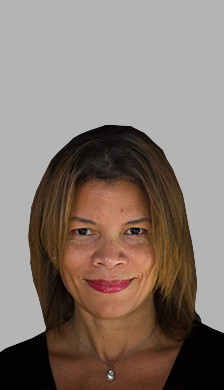 Dina Griffin became president of Interactive Design Architects (IDEA) in 1999. Under her leadership, along with partners Charles Young and Robert Larsen, IDEA has successfully completed a multitude of projects for clients such as The University of Chicago, Chicago Public Schools, Anti-Cruelty Society of Chicago and the General Services Administration among many others. Dina has been instrumental in bolstering the firm’s commitment to collaboration and the opportunity to create, learn and interact with other thought leaders in the profession. The firm has partnered with internationally renowned firms including Pelli Clarke Pelli Architects, HOK and Renzo Piano Building Workshop. In 2016, IDEA was awarded The African American Cultural Center project at Dina’s alma mater, the University of Illinois. That same year, IDEA was selected to join the team of Tod Williams|Billie Tsien Architects to design the Barack Obama Presidential Center in Chicago. Dina’s belief that change is inspired through leadership has motivated her active involvement both within and outside the profession. In addition to past leadership positions with the American Institute of Architects and the National Organization of Minority Architects, Dina currently serves on the Illinois Architect Licensing Board as Committee Chair; the International Interior Design Association; the Leadership Advisory Committee of the Art Institute of Chicago; the Chicago Central Area Committee and the Advisory Board for Contract Magazine. Reaching aspiring students is fundamental to Dina’s mission to encourage and guide minorities interested in building valuable careers in architecture. She is a sought after speaker, regularly presenting to schools and universities as well as to organizations including the AIA, NOMA, U.S. Chamber of Commerce and the National Museum of Women in the Arts. In 2018, Dina was the recipient of the IIDA Star Award and was elevated to the College of Fellows of the American Institute of Architects in recognition of her service to the profession, and to society through her dedicated outreach to minority architecture students and emerging professionals.